"Assassin" redirects here. For other uses, see Assassin (disambiguation). The Assassin Mouse is attracted mainly to Maki Cheese and SUPER|brie+. Standard Cheese will attract the Assassin Mouse, but only extremely rarely. No Charms are required to attract the Assassin Mouse. Hunters can encounter the Assassin Mouse only in the Dojo location. It is very rarely encountered. Attraction info and special event loot drops for the Assassin Mouse can be found at the individual event location pages. The Assassin Mouse drops the Assassin Egg during the annual Spring Egg Hunt. 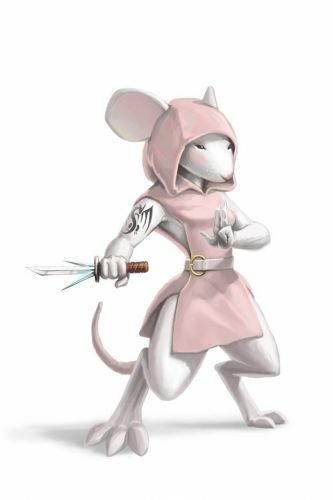 20 November 2008: The Assassin Mouse was released in the Training Grounds..
27 November 2008: The Assassin Mouse's habitat expanded to the Dojo when Hunters accessed the Furoma Pagoda locations for the first time. 2 December 2008: The Assassin Mouse began to drop the Ambush Trap Blueprints as loot. 11 December 2008: The Assassin Mouse began to drop a Satchel of Gold worth 1,000 gold as loot. 8 June 2010: The Assassin Mouse was removed from the Training Grounds location during the major update to MouseHunt v3.0 (Longtail). 4 April 2012: The Assassin Mouse began dropping a bonus Assassin Egg as loot during the Spring Egg Hunt 2012 event. 29 August 2012: The Assassin Mouse began dropping Ancient Relics as loot. 29 July 2015: The Assassin Mouse has an increased chance of dropping Ambush Trap Blueprints. This page was last edited on 25 February 2018, at 03:32.